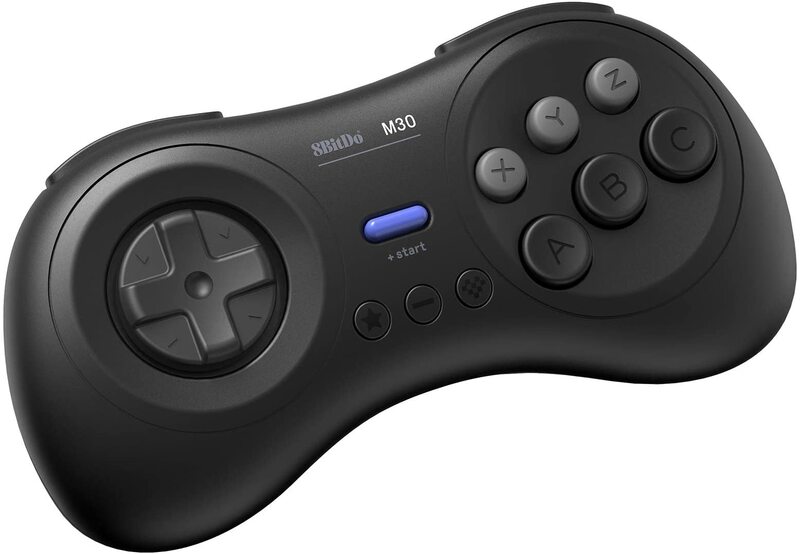 A Sega Genesis inspired bluetooth controller. I’m guessing that these are the same as the ones offered alongside the Analogue Mega SG, but just Bluetooth (instead of the 2.4g with receiver that can be ordered with the Mega SG)? Yeah, they do look like the bluetooth version. I see extra buttons that a Sega genesis controller wouldn’t have. Should be cool for the switch. How is the performance of those Mega SG controllers? I don’t think they’re out yet. If they’re anything like their SN30 ones, then they’ll be pretty damn good. I have like 3 sets of the Official Sega wireless ones. Swaping the D-pad for another out of a different pad or having Krikzz send you a replacement fix the problem. The controller is 2.4 ghz and not bluetooth is a good point. The Kirkzz Joyzz game pad used the exact same molds as every clone 6 button Genesis pad means you got a very standard Gamepad thats a carbon copy of what Sega would have made if they had 2.4ghz wireless back then. Krikzz also offer roms that can tweak the Pad. It has a Master System mode for Master System games that hates 3 button Genesis pads. I may have to get one of each to try with my Genesis. Was thinking about getting the Mega Sg too, but the genesis looks so good with HD Retrovision Component cables. May do the triple bypass mod and see if the SG is even worth it. I wonder if this will end up being superior to the saturn controller? I should be getting mine next week. Just make the dongle 2 button and 6 button compatible. I got the controller today, I’ve tested it out with a bunch games and can confirm that the dpad is great, it’s comfortable to move around and I had no problems pulling out special moves. My only complaint is that the dpad makes creaky noises. Mine is the bluetooth version and I did not have any desyncing issues yet.